ST. GEORGE — Two people with disabilities brought home new furry family members Saturday evening thanks to the diligence of volunteers, donors and one married couple’s ministry of unflinching love and care. 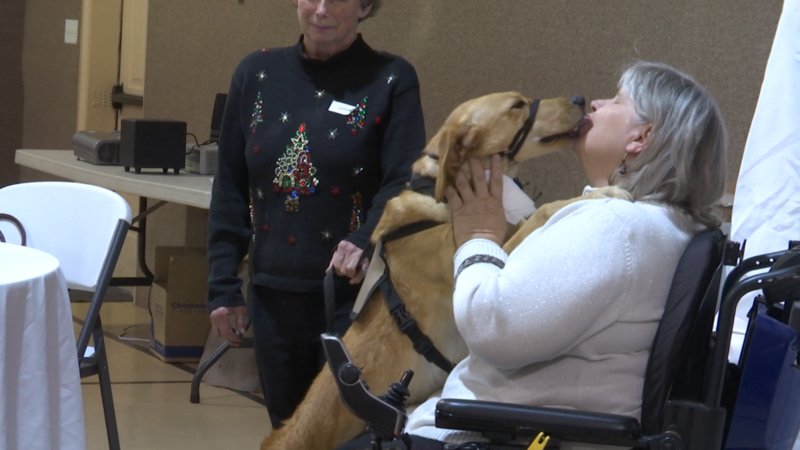 The nonprofit organization Loving Angel Service Dogs is headed by Executive Director Cathy Powell with assistance from her husband, Hoagan Powell, in addition to a number of other volunteers. 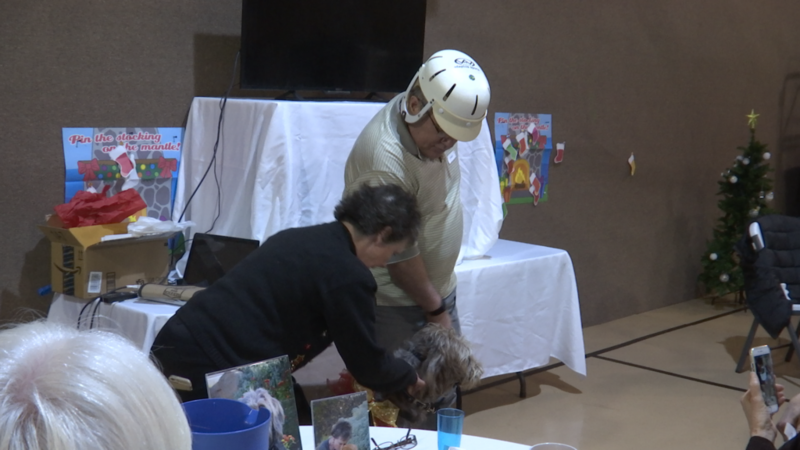 They train and place service dogs for children and adults with disabilities, ranging from children with autism to adults with mobility issues or veterans suffering from post-traumatic stress disorder. On Saturday, Debb Johnson and Chris Maxwell received their service dogs following a graduation ceremony that sent the dogs off in style. 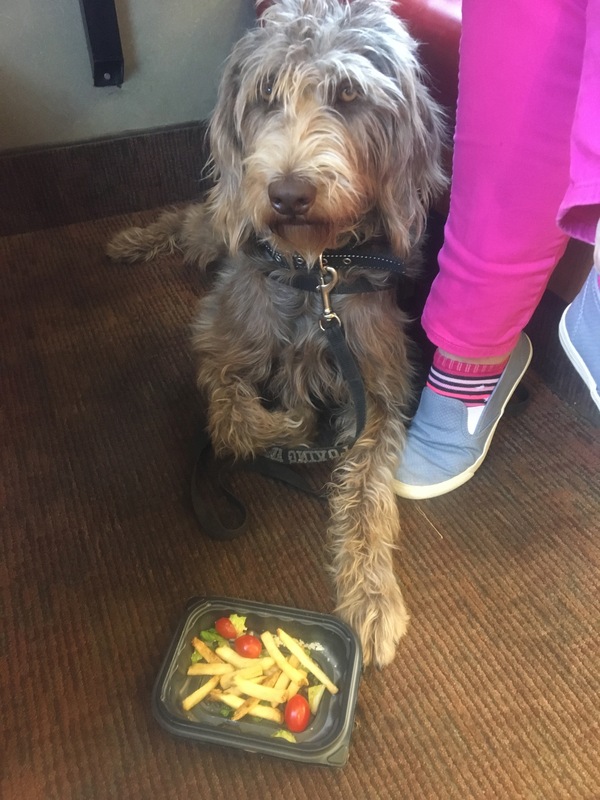 Guests were treated to dinner and videos showing the pups’ progress through the training program before presenting them and their new handlers with official service dog certifications. Katie, a gentle, golden furred dog, went to Johnson. 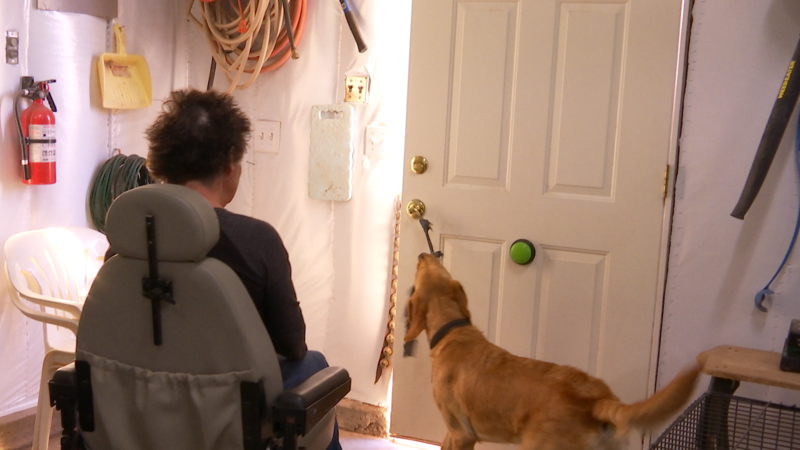 Johnson is wheelchair-bound, and Katie will help with everyday tasks such as dressing, opening doors and flipping light switches. 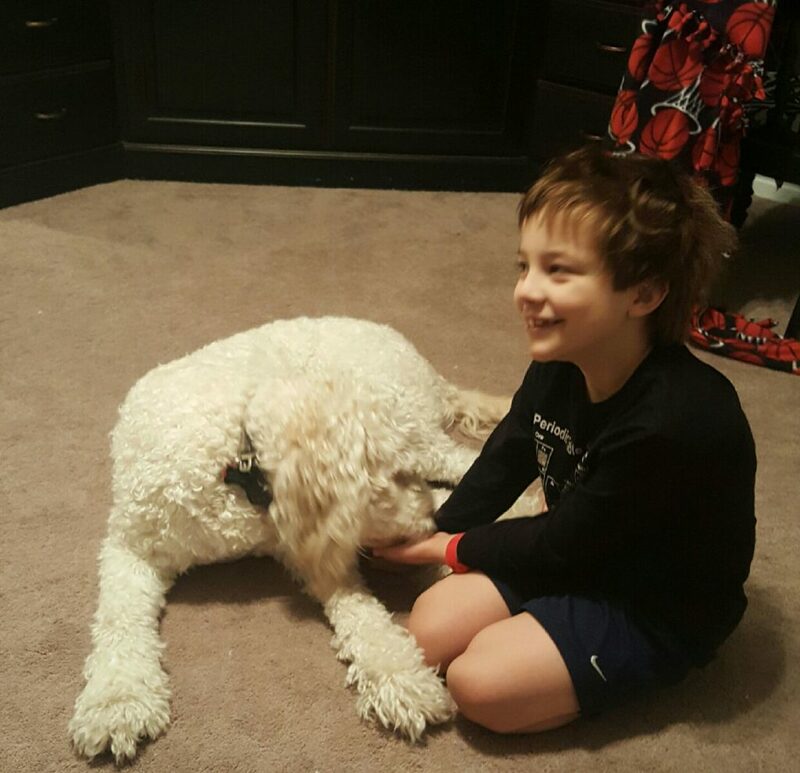 Ginger, Katie’s curly-furred sister, went to Maxwell, who suffers from severe seizures. 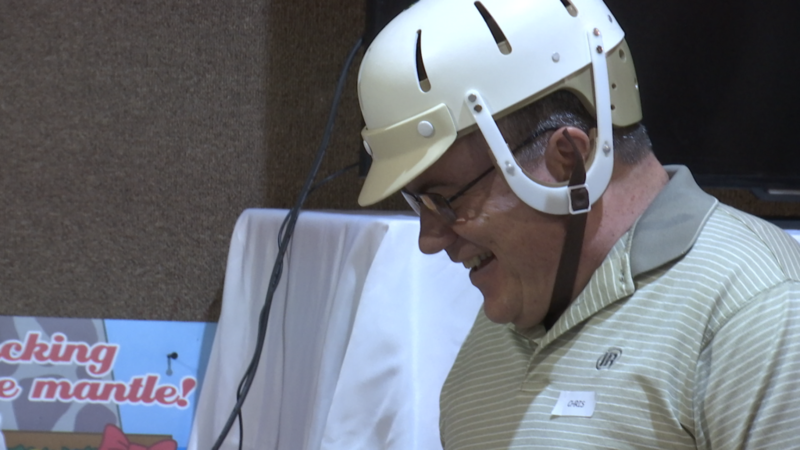 Ginger is trained to respond to seizure symptoms and ensure Maxwell wears his safety helmet. See video above for examples of Katie and Ginger in training. Katie and Ginger were born in early 2015 in a litter of eight pups – five more than the Powells were expecting. The enormous task of feeding and training eight dogs was made possible thanks to generous donations and the work of dedicated volunteers. Four of the eight puppies have been placed so far, with the other four in varying degrees of readiness to receive their service dog certifications. 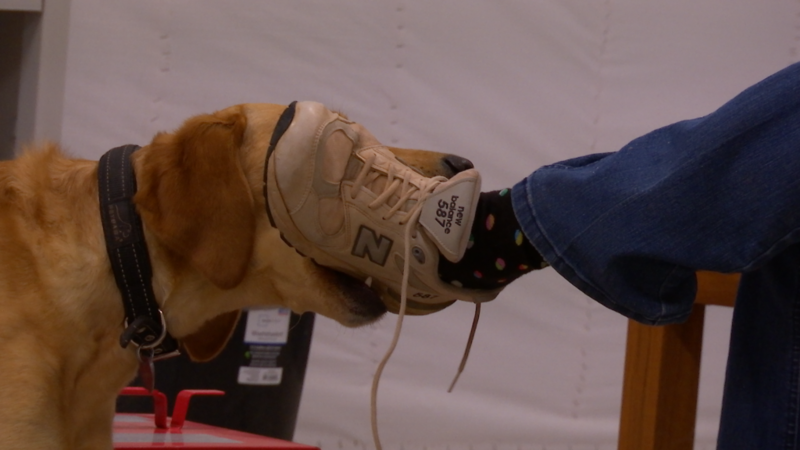 The dogs go through an intensive training regimen. Their future handlers are chosen months in advance of placement so Cathy Powell can work with the dogs on a case-by-case basis, a practice unique to Loving Angel. “My first priority is that the dogs are well taken care of,” Cathy Powell said. Placement is determined largely by Cathy Powell, but she also defers to a board of directors to assist in placing the dogs. Handlers must be as dedicated to the dog as the dog is to them. 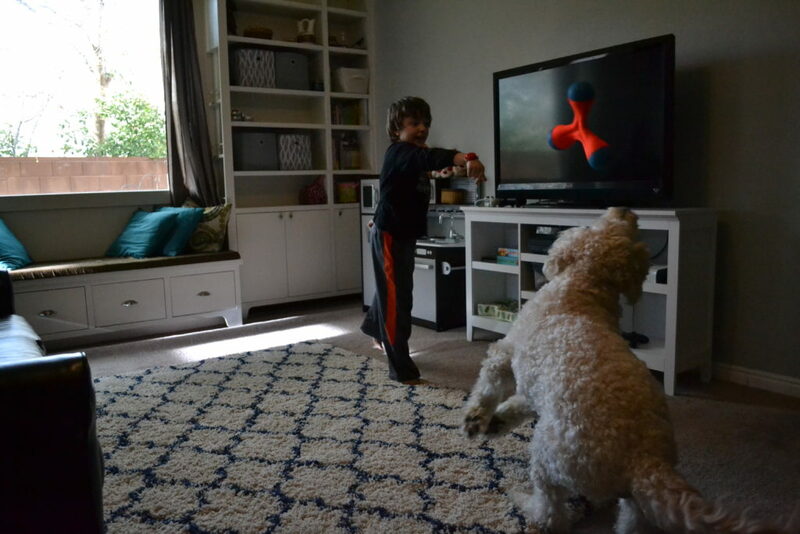 Even after a dog is placed, the Powells continue to assist in training. 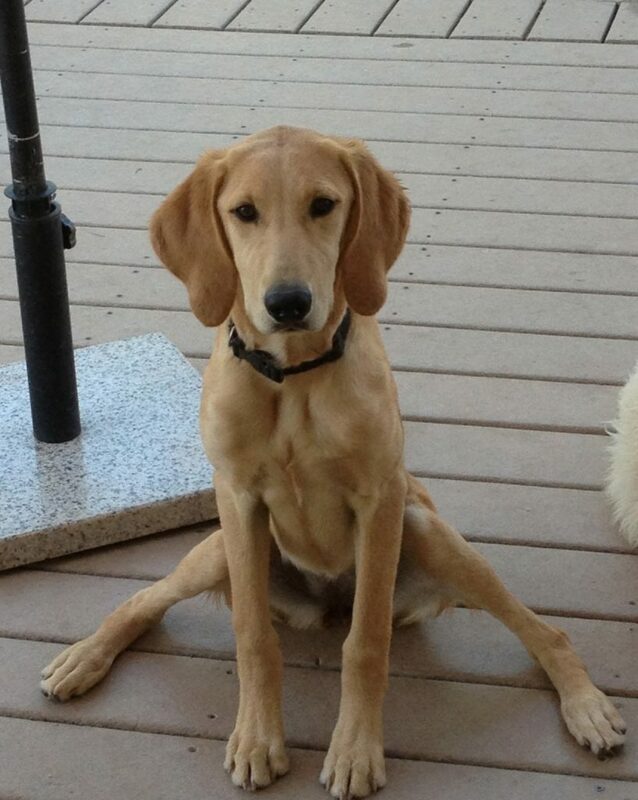 Previous to Katie’s and Ginger’s placement, two of their siblings, Rosie and J.J., were placed to serve a veteran who suffers from PTSD and a 7-year-old boy with autism. “It’s almost like having a third parent,” Brett Tucker, the boy’s father, said. 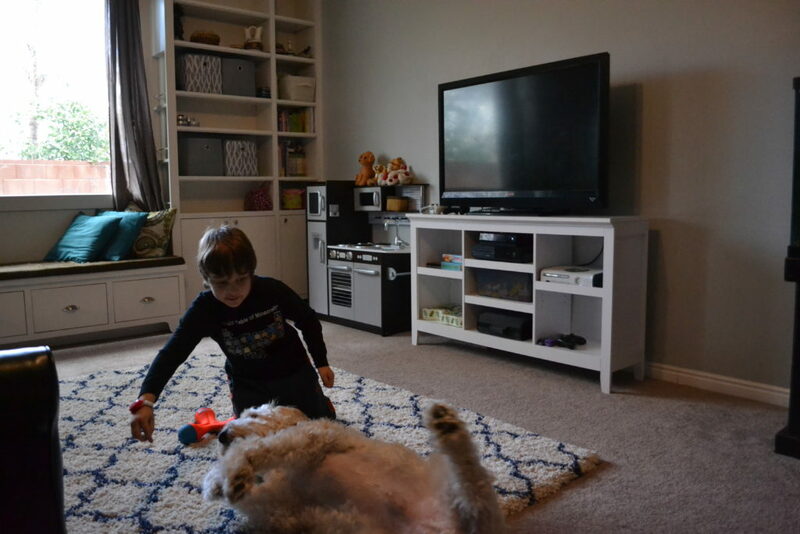 The Tucker family welcomed J.J. into their home a few months ago to assist their son, Lucien Tucker, whose autism caused the boy to suffer from severe anxiety and frequent temper episodes in public. Since J.J.’s placement, Lucien’s behavior has demonstrably turned around. “It’s definitely allowed us to go places we couldn’t go before. It just helps him focus and distracts everything else going on around him,” Brett Tucker said. “He talks to people a little bit more,” Rebekah Tucker, Lucien’s mother, said. 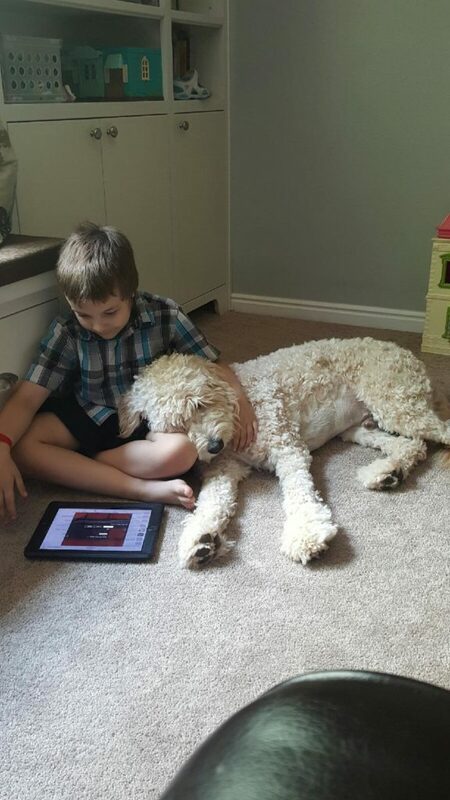 In addition to helping him with his anxiety, J.J. has facilitated an avenue of social connection for the boy, who loves to introduce his service dog to people out in public, his mother said. The assistance that dogs like J.J. provide to their handlers is more difficult to categorize than the more concrete work a mobility-centered service dog provides. “It’s hard to quantify, but the results are undeniable,” Cathy Powell said. 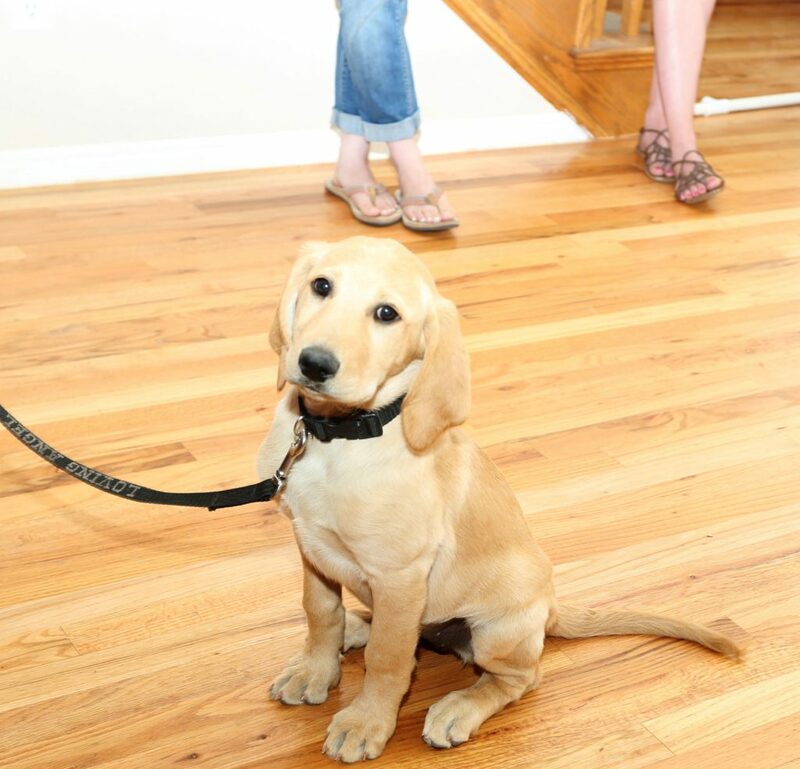 Such dogs work by providing a calming influence to the anxiety-prone person. 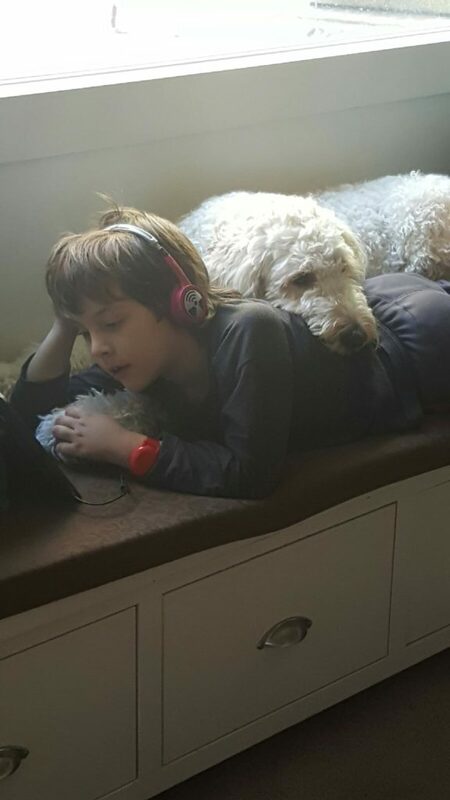 Cathy Powell has her own service dog, Duffy, who is able to pick up on subtle cues about her health, she said, recognizing when she is in pain or ill. Duffy also happens to be the father of the eight puppies. 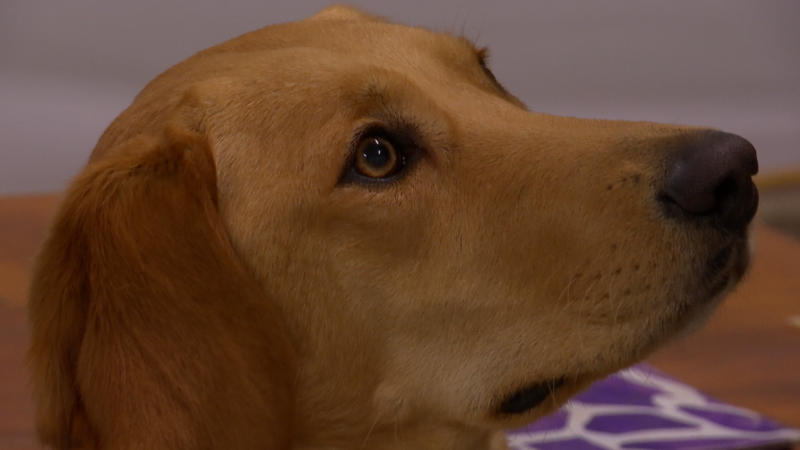 Training a service dog can cost as much as $50,000, and Loving Angel’s placements are offered free to veterans and at a nominal fee to others. This cost is offset entirely by generous donations and volunteer work. The Powells receive no pay for their efforts. 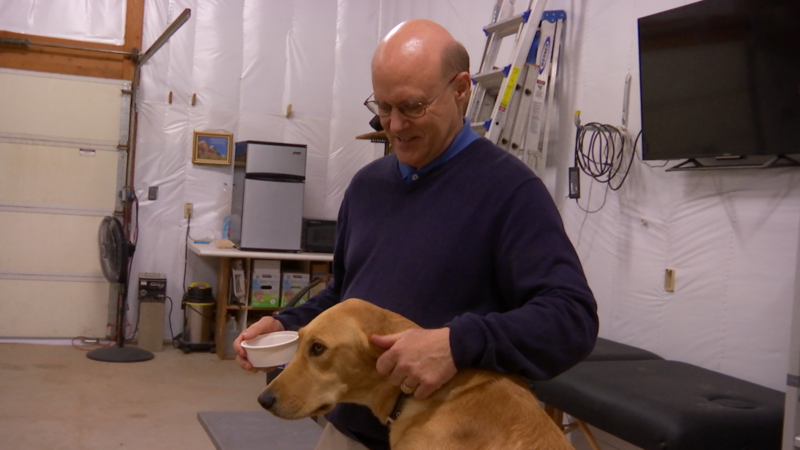 Regular volunteers come from as far as Cedar City to the Powells’ Bloomington home to help with all aspects of service dog training, including grooming, exercise and overnight visits. 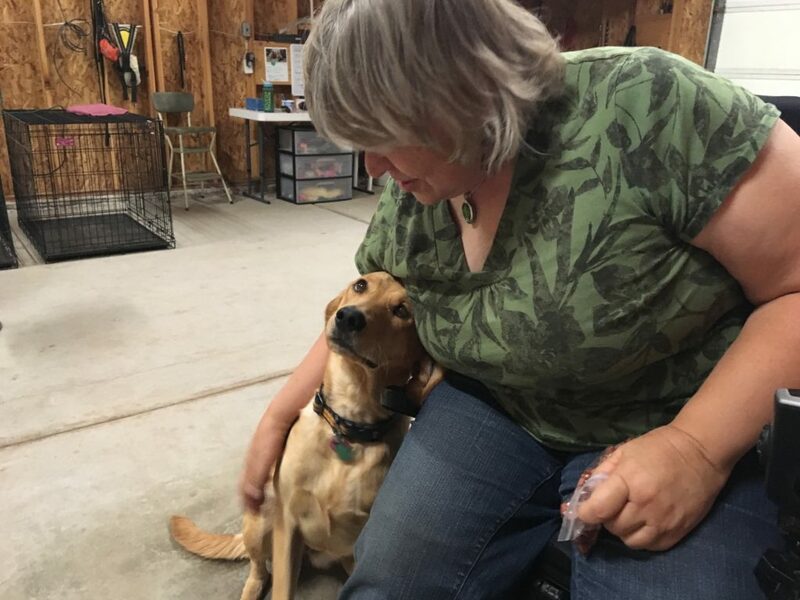 The dogs are also socialized individually in the homes of volunteers who help train basic obedience for the first six to 12 months of their lives. “I even have some Boy Scouts who come and scoop poop for us,” Cathy Powell chuckled. 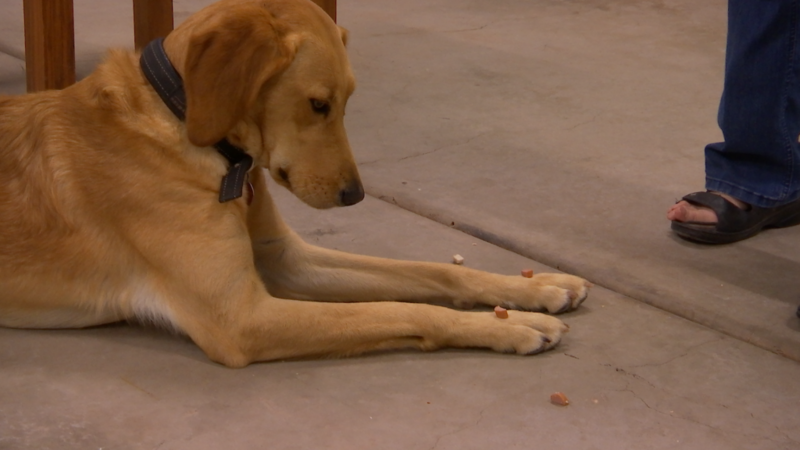 Several students from Dixie State University help train the dogs as part of their degree training. One student, Morgan Jones, came to volunteer with Loving Angel after being inspired by a previous St. George News article about the organization she read when she was a junior in high school. However, Cathy Powell’s biggest support comes from her husband. “This wouldn’t be happening without him,” Cathy Powell said. 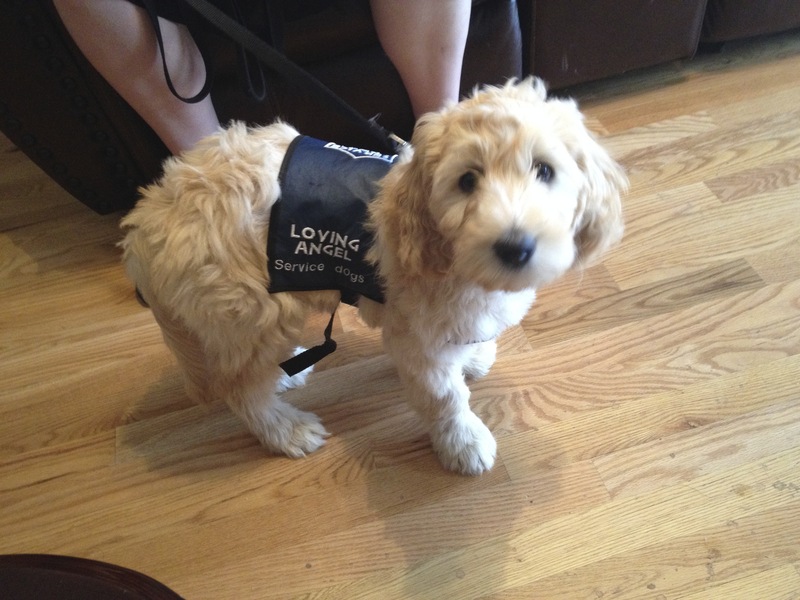 Loving Angel Service Dogs doubles as a service ministry for the Powells, who said their faith helps drive their service. Cathy Powell first started training dogs when she was 8 years old. Throughout her lifetime, she trained therapy dogs, comfort dogs, pets and hunting dogs, but she said her ultimate goal was to train service dogs. Having grown up with rheumatoid arthritis, as well as more recent health problems, she said she can relate to the struggle of people with disabilities. 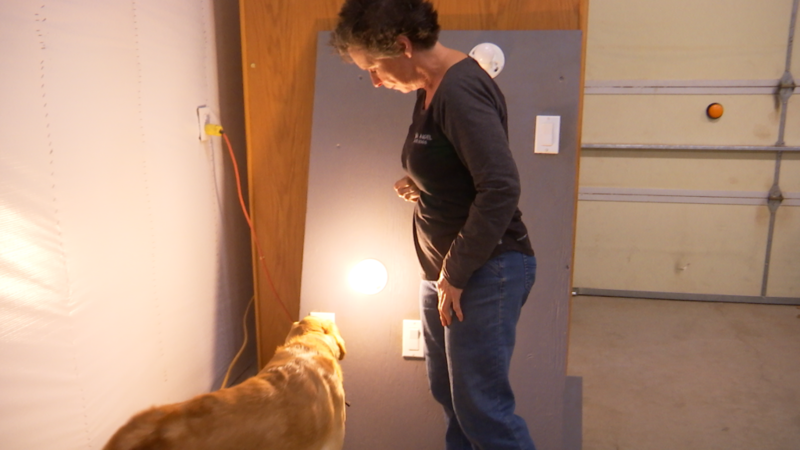 “When you have a dog that you love and can help you, it helps out so much,” Cathy Powell said. Loving Angel Service Dogs is looking for additional volunteers and urges anyone interested in lending a hand to contact the organization. For more information, go to their website. You can also email [email protected] or call 435-632-2482. These folks are really great people and the love permeates their whole non-profit corporation. Good place to give a gift of support. 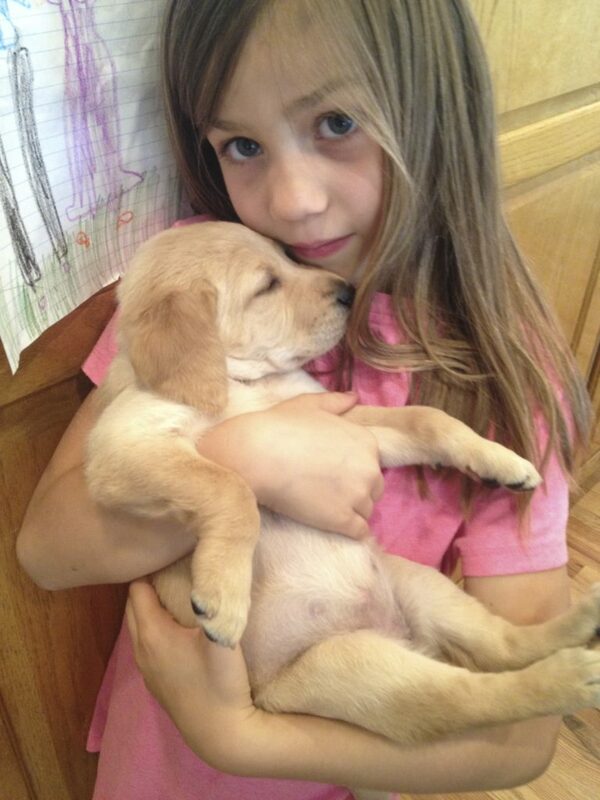 Warning one will fall in love with their dogs very easily…….first hand experience.